We DO take bookings for dinner at Sally Lunn’s (scroll down for form) so it can be a great option if you want to avoid a wait/queue. We are also a wonderful atmospheric relaxed environment in the evenings. Special and memorable. 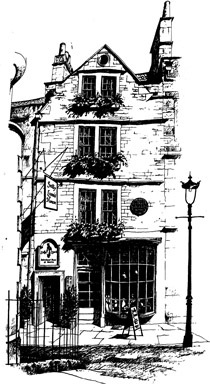 We serve a historic English menu with dishes that have a long and interesting past. Starters include a daily choice of soups, seasonal salads & terrines. We are famous for our desserts – tarts, sweet pies, puddings…. Our main courses require a little explanation. Traditionally, a type of bread – known as “Trencher” was used before the invention of plates. Unlike plates (invented around 1500), the Trencher bread gets its flavour from the food and is eaten as part of the meal. The use of Trencher breads remained popular in Georgian England – perhaps the most famous of all being the Sally Lunn Bunn, enjoyed here at Sally Lunn’s House for over 300 years. 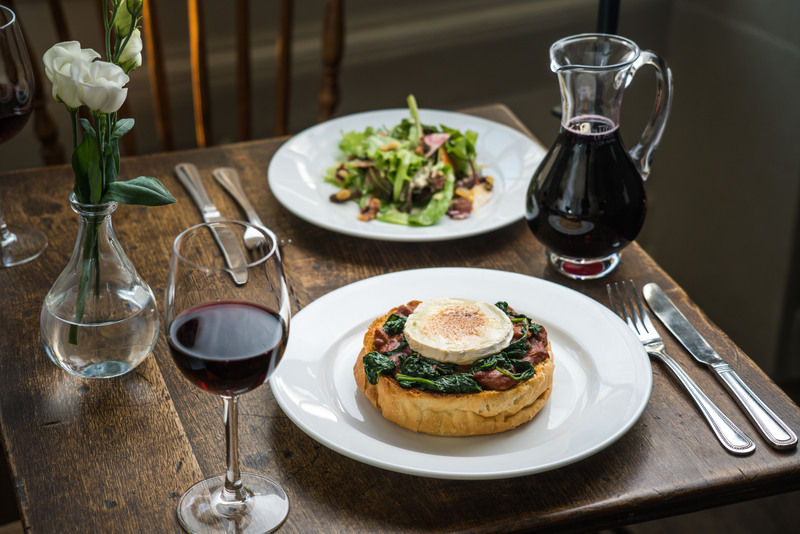 Our historic menu offers main courses [including a pair of delicious dishes without meat] served in the Trencher tradition with a generous slice of Sally Lunn Bunn. All include today’s selection of fresh vegetables and a plate! By popular demand we have reintroduced our famous savoury pies after 7pm daily: premium and hand-raised meat or vegan pies served with mash & gravy. Choice changes daily but they are always amazing! 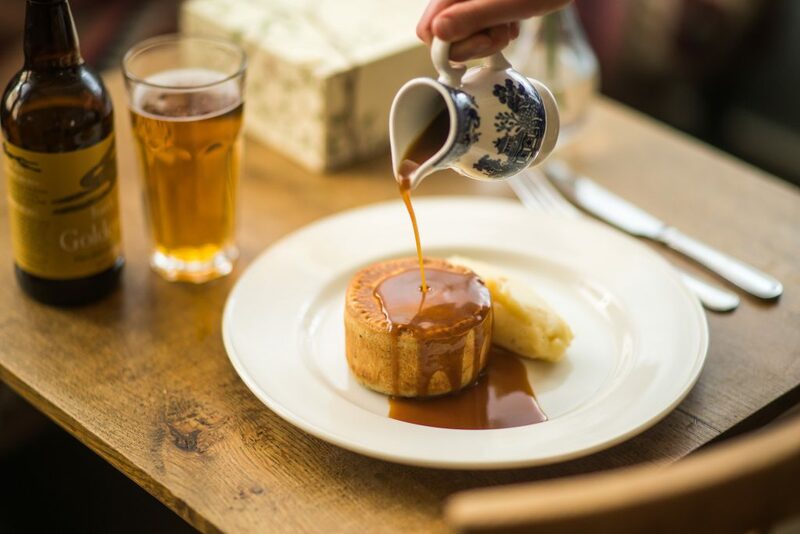 Pies are subject to availability as we make a limited number and when they are gone they are gone – You can pre order your pie when you book a table. Historic hand raised savoury pies – including a vegan option!!! Remember you can book for dinner after 18.00 – we do not take table bookings before 6pm.